I took this picture in the 9th Ward one year after the Katrina disaster. All over the news there are stories about New Orleans five years later. The tragedy is that there has been no change in the 9th Ward over the past five years. There has been no redevelopment of the housing. The poor have not been able to move back into their former neighborhood. While downtown is booming and the areas where those who are rich have been restored, the poor are left to there own resources which is totally inadequate. How do you keep hope alive in the midst of this devastation? It's time! Since the beginning of the James Bond, 007 film series, I have watched every episode and watched every variation of the character James Bond. Most recently, Daniel Craig has played the character and it is my understanding he has not been the strongest one. As a result movie sales have diminished and rumor has it that they are wondering if the series has run its course. James Bond is an international iconic image. It is time to cast Idris Elba as the new James Bond. He is a marvelous actor. He has the class and debonair that we expect of James Bond. He is attractive to women and present a strong role model to men. He is tough. He is smart. He looks good in fine clothes. Alright, James Bond movie rights holders, pay me for one of the most creative casting ideas that will once again cause the movie turnstiles to hum. 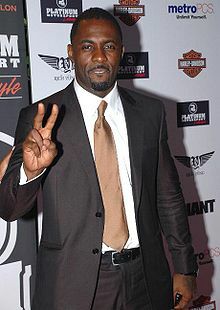 Mr. Idris Elba as the new James Bond!!!! What do you say? Let's make it happen!!!! Regardless of party affiliation or political philosophy, the right to vote is a freedom that should not be taken lightly. Voting is one's expression of choice within a political sphere and for a particular candidate that echoes your concerns and supports your ideas. First you need to know your concerns and have some ideas. Concerns are situations or policies that impact the people you love and care for. Ideas are those thoughts and plans that improve situations and policies. Everyone should have concerns and all you at some point in time have ideas. Voting is your freedom to express yourself individually and through a public process create a consensus of public opinion. Why is this important? Just look at the amount of money being spent to place in the forefront of your mind concerns that other people have. Look at the amount of money being spent to force upon you the ideas others have. You are not a pawn in the political process. You are a king or queen maker. You matter! As we move into the voting season, it is important that the people vote in large numbers and it is important that you vote for the persons who best understand your concerns and is best aligned with your ideas. On Wednesday, Sept. 1st I will meet with the General Managers of all of the major television and radio stations in the Baltimore Market. I will share with them my concerns and ideas regarding issues that impact the people of Baltimore. If you have either concerns or ideas, let me know and I will add them to my list. On Thursday, Sept. 2nd I will moderate the 44th District Candidates Forum that is sponsored by The League of Women Voters. Are there specific questions you wish me to pose to the candidates running for this important office - 44th District Delegate to the Maryland General Assembly. This afternoon I had the wonderful experience of officiating a Renewal of Vows for a 50th Wedding Anniversary Ceremony for Mr. Llewellyn Woolford, Sr., and Rev. Sadie Alston Woolford. 50 years ago they were married in the main sanctuary of Union Baptist Church. Their ring bearer, a groomsman, a bridesmaid, and a special soloist, Ms. Ethel Ennis, who sang a rendition of the same song she sang at the original wedding ceremony, "True Love," returns to share in this special moment and occasion. The service was special in every way. 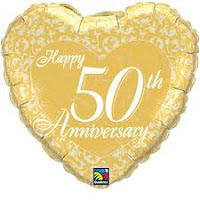 Can you imagine the special favor and blessing of God that permitted this couple to not only experience 50 years of marriage, but to also experience the gift of life and love? They present a model of marriage that is sorely needed today. May God continue to richly bless Mr. and Rev. Llewellyn Woolford, Sr.
Young teenage girls should be engaged in fun activities, enjoying life, and matriculating through school. What's going on with our young daughters that they are involved in violent crimes throughout our nation? Pick your city: Baltimore, Detroit, and Garland. Incidents are happening in the East, Mid-west, and west. Something is seriously wrong with our society and its values when the potential princess and queens of our community are succumbing to the worst imaginable sin - murder. Marvin Gaye says it best, "What's going on?" The State of Maryland and its Education Board led by Dr. Nancy Grasmick are to be congratulated for winning a "Race to the Top" award. Governor O'Malley can rightly stick his chest out along with the General Assembly and our Congressional Delegation for securing additional dollars for our State's educational system. 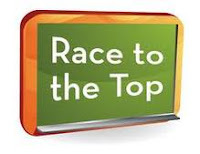 What our political, educational and community leaders need to instill in our youth and their families that racing to the top is to establish yourself as a leader in the world of education. 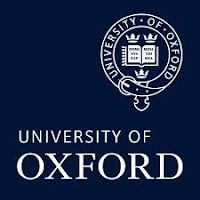 I recently visited Oxford and London and on their daily news were items extolling the accomplishments of their students versus our news which focuses upon crime and dispair. Interviews were held with students who were anticipating receiving notice of their placements at colleges and universities. There was on public display the grading scale and the number of students who were scoring off the charts. Getting three "A's" was a minimal requirement and the students understood that the bar was set high. As a result they sought to get "A*" which was the highest grade possible and not settle for an "A". Until we instill the true pursuit and thirst for knowledge within our students, we can receive all the money in the world and be left with a population of youth unable to compete in the world arena. My prayer is that these dollars and the requirements they bring cause our system to drill down and educate all of our youth and encourage them to reach the potential God has in store for them. Congratulations!!!! We can never allow our amazing history to die. 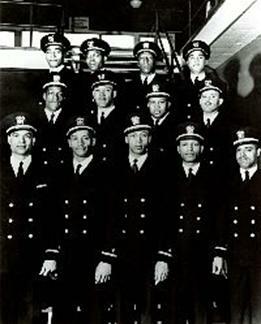 The "Golden 13" are known with Naval circles as the first 13 officers of color in the United States Navy. 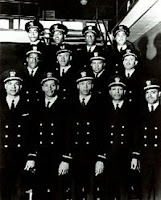 Their struggle open doors for all the officers of color who would follow. Their leadership abilities and test scores rank among the highest that a class of officers have recorded to date. If the broader community fails to recognize them, we surely should. I usually write a book review after I have finished reading a book. 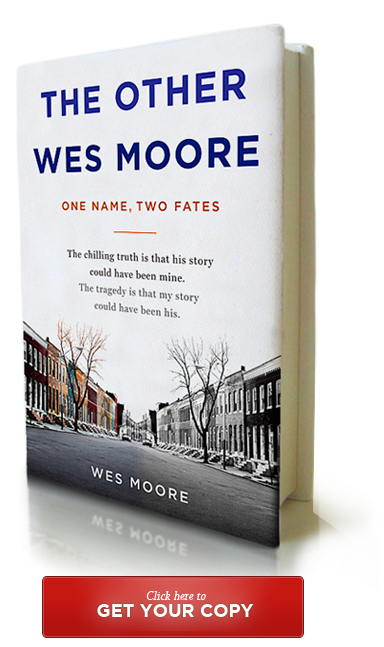 But in the case "The Other Wes Moore" I'm recommending it after reading the introduction. This book is a must read for any person who is interested in the dynamic that is occurring on the streets of urban cities throughout America. African American males are standing at the crossroads of making life altering decisions everyday. Without adequate role models or road markers too many are taking the wrong turn and going in the wrong direction. Wes Moore articulates this paradox and dilemma in clear tones and understandable words. Read it along with me and then let's talk about it. 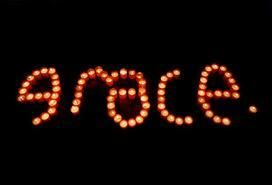 Today sermon, "Everyone Needs Grace!" 2 Corinthians 12: 6 - 10, "God's grace is sufficient." Paul after experiences multiple dimensions of God's grace; God's prevenient grace, God's amazing grace, God, sanctifying grace, and God's saving grace, concluded that through it all, God's grace is sufficient. I would pray that each of you reach the same conclusion in your life's journey that God's grace (the unmerited favor of God) is sufficient for all your needs and desires. Spent a wonderful and exciting week in study at Regent's Park College at Oxford, University. The ambiance and historical legacy of this outstanding school lent itself to a stimulating experience in the study of preaching. The session was led by Dr. Joel Gregory, one of the foremost biblical preachers of this era. I had the opportunity to explore the Oxford and London communities. I'm back refreshed and renewed to preach with power and persuasion. When you stimulate the mind, you stimulate the spirit! Yesterday, August 10, 2010, the World Health Organization (WHO) declared the H1N1 swine flu pandemic officially over, a little more than a year after it began. This does not mean that the virus that caused the pandemic has disappeared, simply that it has now spread so widely that many people in all age groups have some immunity to the strain. Experts expect that the H1N1 virus will continue to circulate at relatively low levels, in much the same way as a seasonal influenza strain. On September 2nd beginning at 7:00 p.m. The League of Women Voters will sponsor a candidates forum for the persons running for the House of Delegates in the 44th District at Union Baptist Church. I am honored to be the moderator for the forum. Ms. Gwen Ifill comes to mind as a competent moderator to emulate. Because of the early voting procedures, citizens have an opportunity to have their voice heard and their vote counted. Come out to hear what the candidates have to say about the issues that concern you most. Also, look at them close up and see how they respond to tough questions and determine for yourself how accountable they will be once they are in office. 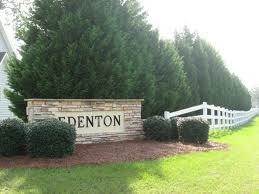 There is a small town in Chowan County of North Carolina whose name is Edenton. My mother and father were born in this historic southern city. I'm making preparations to go this weekend to The Hathaway Family Reunion. For the past 37 years my family has officially gathered in places throughout the country for our reunion. It is special to go back "home" and visit the sites, walk the roads, and share in the stories of your relatives and ancestors. Everyone needs a special place somewhere that you call home. It is spiritually uplifting to come together as an extended family in love and fellowship. For me our family reunion is like soaking in the river of untold blessings. It like stepping into the rich favor of a Heavenly Father who illustrates to you through the life of your relatives that God is good and that God is love. It's a constant reminder that we have purpose and mission in life and that all of us have a responsibility to be fruitful, to multiply and to achieve while we are in this earthly plane. The reality of transition comes to mind as you remember those who were among us sharing in the reunion experience who are no more in this early plane. The longer you live the more you anticipate that glorious reunion God has promised in His Heavenly Kingdom. Move over John Waters and Barry Levinson, Baltimore is about to add Mr. Peter Allen to its list of Hollywood movers and shakers. The potential blockbuster hit, "Takers" was co-written by him. He is one of our native sons who is doing well. He has pursued his dream to crack the Hollywood big time. His creative genius was discovered long ago by Mr. Stevie Wonder, who had him produce his video for the song, "Ribbon in the Sky." His cinematography and use of colors and texture interpreted the wonderful lyrics of that song, "There's a ribbon in the sky for our love." I will be one of the first in line to support Peter's entry into the big time when "Takers" is released. Finally, Joe Gans is getting his due. 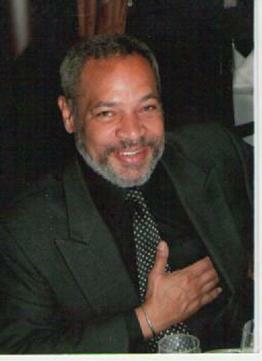 He like many African American leaders at the turn of the century have been relegated to obscurity. We are heirs to a proud legacy. A story that must be told and retold. First, its a story that must be rediscovered. I remember Mike Tyson coming to Baltimore and going to the Mount Auburn Cemetery to pay tribute to this great boxing champion. 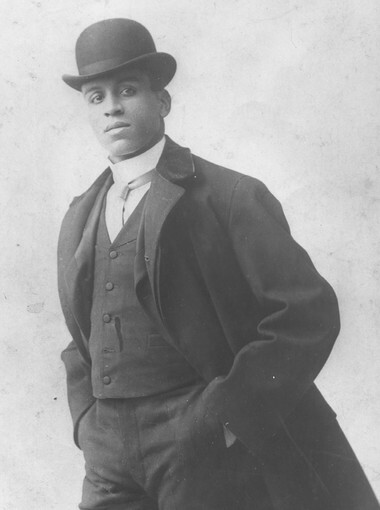 Joe Gans lived and worked in the Upton Community. He is now properly being recognized for his accomplishments during an era when athletes from his race were far and few in between. Also, they had to be twice as good as anyone else to gain any recognition. This is our modern day challenge to teach our youth to be twice as good as anyone else. The Summer Youth Works Program in Baltimore City ends today, Friday, August 6, 2010. Many youth throughout the City of Baltimore had the opportunity to earn income and gain valuable experience. We were blessed to have 14 youth working at Union Baptist Church this season. They began the 6 week experience needing discipline and nurturing. They ended the experience understanding the nature of teamwork and exposed to a cadre of community leaders who talked with them in daily "rap" sessions. They will share in the worship experience with their families and friends on Sunday, August 8th and inform the congregation about what they have learned this summer. One of the young men in the program had to opportunity to visit Morocco for a ten day experienced sponsored by the church. I continue to pray for our youth. I ran across this interesting bit of information: About 25 percent of all male Americans between the ages of 10 and 15 were "gainfully employed" at the turn of the century. By 1970, so few in that age bracket were employed that the U.S. Census Bureau did not bother to make inquiries about them. 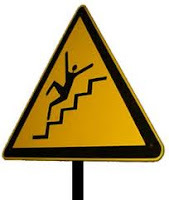 Working on Sunday's Sermon entitled, "Getting Up After Falling." The trail of life is littered with banana peels and slippery places. The real challenge in life is not that you may fall. The real challenge is do you get up after falling. It is a shame to see people waddling in their own mishaps, mistakes, and miscues. For those who find themselves in a fallen state, let me direct you to the Book of Jude, "To him who is able to keep you from falling and to present you before his glorious presence without fault and with great joy - to the only God our Savior be glory, majesty, power and authority, through Jesus Christ our Lord, before all ages, now and forevermore!" Let the church say, Amen! The escalating random violence is crippling neighborhoods throughout America. In Baltimore City we have read about eight murders within the last week. Each one more horrific that the other. Each one involving either an innocent person as a victim and an alleged African American perpetrator. Clearly a racial divide is festering that is spilling over into the political arena in the campaign for Baltimore City's States Attorney. But it is also revealing an impotence among the leadership ranks of our city. No one is speaking authoritatively and creatively on how to address the violence that is gripping our city. In my blog posted on July 29th I offered a ten point plan for reducing violence (http://www.alhathaway.com/2010/07/changing-our-communities-for-better.html). This widely posted blog did not stimulate an internet dialogue around the ideas that were suggested. Therefore, I need to go a step further and biblically challenge People of Faith and their leadership who are sitting on the sidelines and are not constructively involved in addressing this issue. I will admit that some futility has set in and that there is some therapeutic value to candlelight vigils that periodically spring up after some violent attack. But, I believe that People of Faith and their leaders are called to a greater calling in developing a systematic plan to address the violence in our city. First, I believe that their are more People of Faith than their are perpetrators of evil. Second, I believe that the People of Faith are called to possess the land in which they find themselves domiciled. Thirdly, I believe we are commanded to commit ourselves to God and to resist the devil in all of his forms and then he will flee from us. Therefore, let me state the "Proper Response to Violence by People of Faith." The leaders of Faith Communities need to meet in an emergency summit. At this summit they need to bring the zip code roles of their membership. They need to merge the membership lists into a master listing. This master listing will identify the number of Faith People in each zip code. The larger the pool of Faith Leaders coming together, the larger the pool of Faith People in each community. Then systematically target the communities with high crime and violence statistics. Organize the People of Faith into a master community organization with telecommunications capability. Assign block watchers. Conduct public demonstrations of the critical mass of people, by out door revivals, block parties, neighborhood watch, and neighborhood patrols, hold local police accountable for policing, make certain that cameras are working within these communities, identify the problem areas and notify those persons in those areas that behavior has to change, identify store owners and property owners that may be too cozy with the criminal elements and make them aware that behavior has to change. Hold city wide revivals that bring the every growing groundswell of faith people together. Pretty soon you will have a network of faith people who will be organized around exposing violent people, and curtailing criminal activity. This same network needs to work on eliminating vacant and substandard housing, generating jobs within their communities, and promoting quality education and schools within their communities. Through a process such as this we would replicate the methodology of the Hebrew people when they possessed the Land God had promised them. (Number 32) What is the problem and what would hamper such a process? The Leaders of People of Faith aren't able to come together. The People of Faith put no demands on their leaders to work together. These factors we must overcome. "Together is Better"